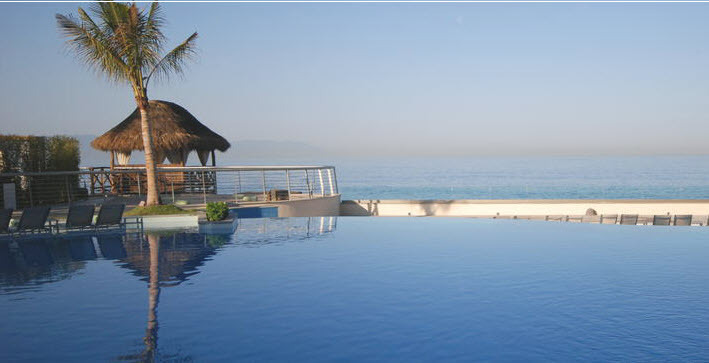 There's a 7 night all-inclusive package from Vancouver to the Sunset Plaza Beach Resort in Puerto Vallarta, Mexico departing on December 8 for $947/person after all taxes and fees (includes flight, hotel, all meals, all drinks) . The Ultimate All-Inclusive Deal Finder has calculated this deal as having a Deal Score of 84 out of 100, based on price vs quality. - The reviews of the Sunset Plaza Beach Resort on TripAdvisor are incredible. In fact, it's a TripAdvisor Traveler's Choice 2012 Winner. This fact, combined with the low price, is what leads to the high Deal Score. I like deals where you're getting the most for the least. - The flights are non-stop. - A large percentage of the highest Deal Scores involve packages departing on those dates at the moment. vancouver, yvr, mexico, puerto vallarta, pvr and all inclusive deals.